Skin responds to ultraviolet light in two ways: first, stress by inflammation which triggers an immune response to repair DNA breaks and multiply skin cells to protect lower skin layers. And secondly by producing melanin, a brown-to-black pigment in skin, eyes, and hair, acting as natural sunscreen protection against more ultraviolet exposures. Stress response to ultraviolet light begins in minutes, while melanin production can take hours or days. "The damaging effects of high doses of ultraviolet rays are known, but we were curious to see the effect of frequent exposures on skin. It turns out if you go daily to the beach, you might be interfering with a synchronized system of skin protection." Carmit Levy PhD, Associate Professor, Department of Human Molecular Genetics & Biochemistry, Sackler Faculty of Medicine, Department of Human Genetics and Biochemistry, Tel Aviv University, Tel Aviv, Israel. These findings appeared October 25, 2018 in the journal Molecular Cell. Levy's team wanted to understand how timing of the skin's two protection systems are related. So, they exposed live mice to ultraviolet light every day, and a second group every other day. Using a color meter to measure melanin amounts from exposure along with counting the number of DNA breakes in skin cells, they found the darkest coloration came after a pattern of one day of exposure followed by one day of no exposure. After that 48-hour period, melanocyte master regulator MITF appeared to regulate skin coloration to minimal inflammation response in a manner that spared damage to skin. "The results were so surprising! 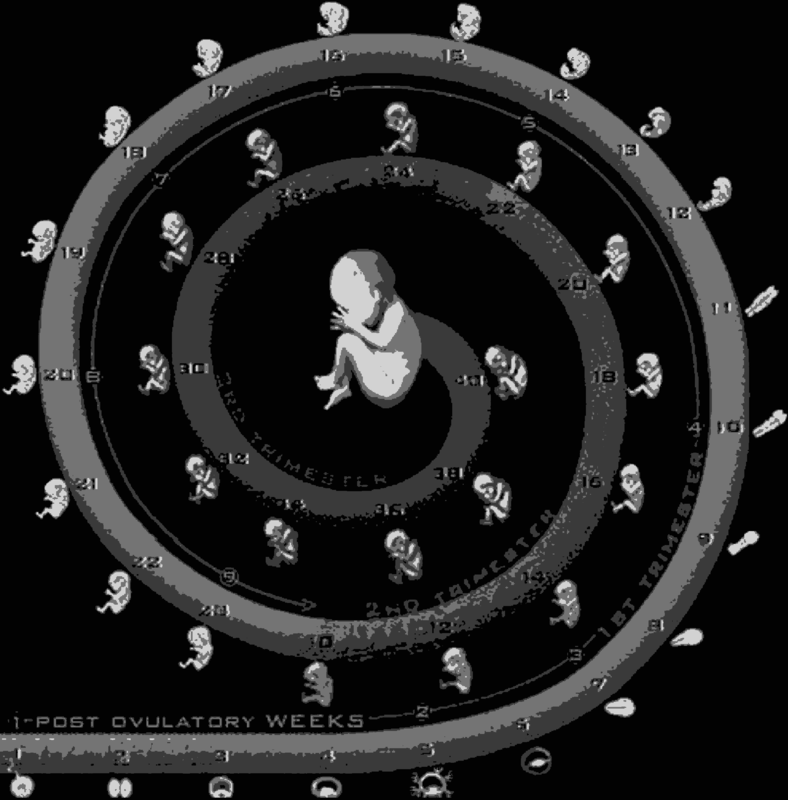 We expected daily synchronization of the cell's two protective cycles to give more protection." MITF or (microphthalmia-associated transcription factor) synchronizes the two protective cycles. MITF was already known to control melanin production and its spread. After one ultraviolet exposure, MITF functions as a timer, dampening oscillation between a molecular regulatory loop involving HIF1a, and another post-transcription loop involving microRNA-148a. Its oscillation fluctuates every 48 hours. Researchers found that 48-hours of stimulation produced the most pigmentation in human cells, while minimizing stress-induced cell proliferation from inflammation. Levy's team speculates the 48-hour cycle arose in ancient humans when we lost our protective fur. This may have occurred when we descended from trees and began to walk upright on two legs. Others theorize we lost fur in response to the heat on the savannahs we crossed. "We also began to express an important receptor for pigment production in our skin, called MC1R, at that time. Evolving linked traits to a common selective pressure, can grant adaptive advantage. We're not sure why we evolved a 48-hour cycle when ancient humans were probably exposed to sun every day. But, we do know Vitamin D, which skin produces upon sun exposure, is stable in the blood for 48 hours. Perhaps this is the link." Understanding transcription factor dynamics may lead to crucial insights in timing skin cancer treatments, as some cancers have been shown to be frequency dependent. Study results also must be replicated in human trials before being developed into any therapies. In the interim, we might simply practice safer tanning habits as we discover more. "We will continue to study these cycles, as we would like to better understand the effect of ultraviolet exposure on the proteins in our cells and bloodstream. I think there are more 'clocks' in our body to be discovered." Skin sun exposure induces two protection programs: stress responses and pigmentation, the former within minutes and the latter only hours afterward. 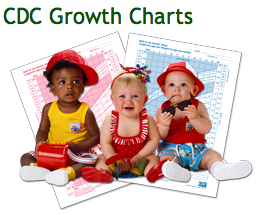 Although serving the same physiological purpose, it is not known whether and how these programs are coordinated. Here, we report that UVB exposure every other day induces significantly more skin pigmentation than the higher frequency of daily exposure, without an associated increase in stress responses. 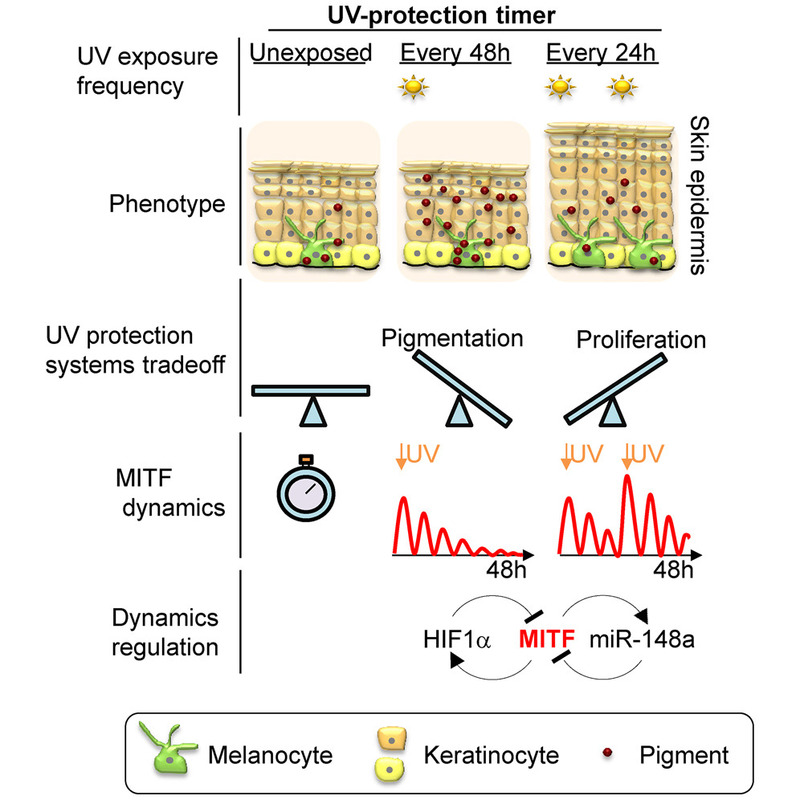 Using mathematical modeling and empirical studies, we show that the melanocyte master regulator, MITF, serves to synchronize stress responses and pigmentation and, furthermore, functions as a UV-protection timer via damped oscillatory dynamics, thereby conferring a trade-off between the two programs. MITF oscillations are controlled by multiple negative regulatory loops, one at the transcriptional level involving HIF1a and another post-transcriptional loop involving microRNA-148a. These findings support trait linkage between the two skin protection programs, which, we speculate, arose during furless skin evolution to minimize skin damage. Hagar Malcov-Brog, Ayelet Alpert, Tamar Golan, Mehdi Khaled, Shai S. Shen-Orr and Carmit Levy. This research was funded by the European Research Council, I-CORE Gene Regulation in Complex Human Disease, the Israel Science Foundation, Fritz Thyssen Stiftung, Israel Cancer Research Fund, Salomea (Mika) and Herman Berger Z"L Foundation, the United States-Israel Binational Science Foundation, the Shtacher Family award, and the Naomi Foundation. Skin sun exposure creates two protection responses (1) stress and (2) pigmentation change. change takes up to 48 hours. Image: Levy lab.